I’m so very excited that the snow around here is gone. We’re decorating Easter eggs this weekend at my parents’ house with the kiddos and their cousins. I look forward to this time every year because it holds promise of warmer weather ahead! 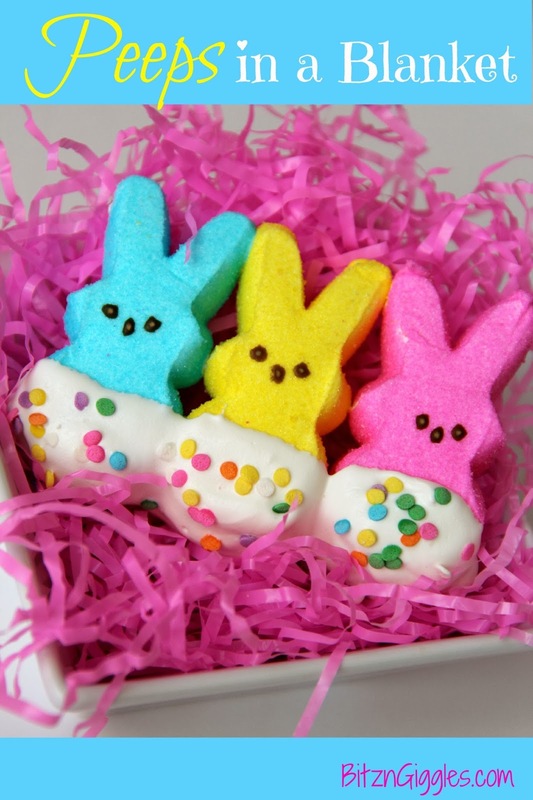 So I’ve been staring at some leftover Peeps sitting on my kitchen island. 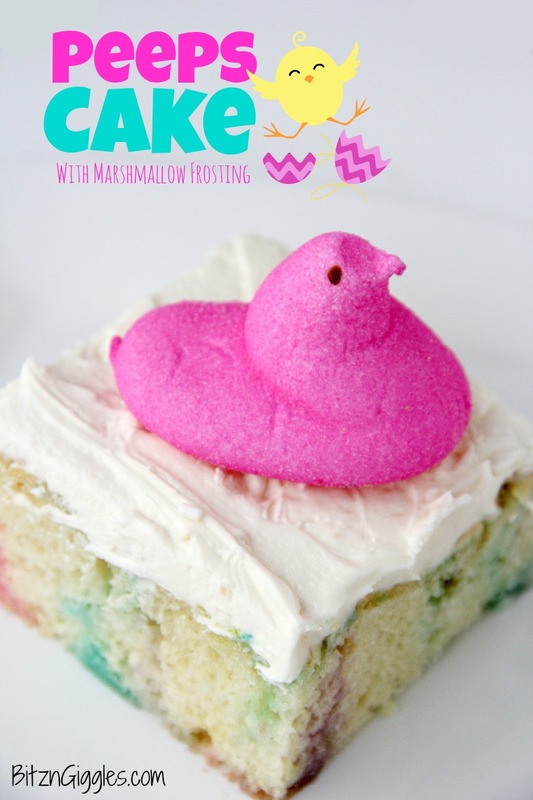 I made this Peeps Cake last week and only used up half of the Peeps I had bought. I thought about it, thought about it and came up with a fun tutorial for you all today. My post today isn’t really a recipe. 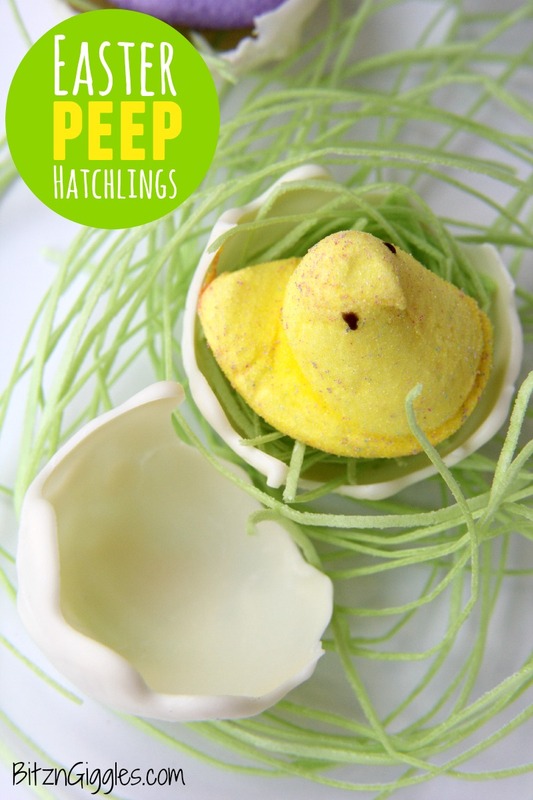 It’s more of a tutorial for making these little Easter Peep Hatchlings. Okay, let me back up again. It’s really a tutorial for making a cracked chocolate egg. Let’s be honest about this. 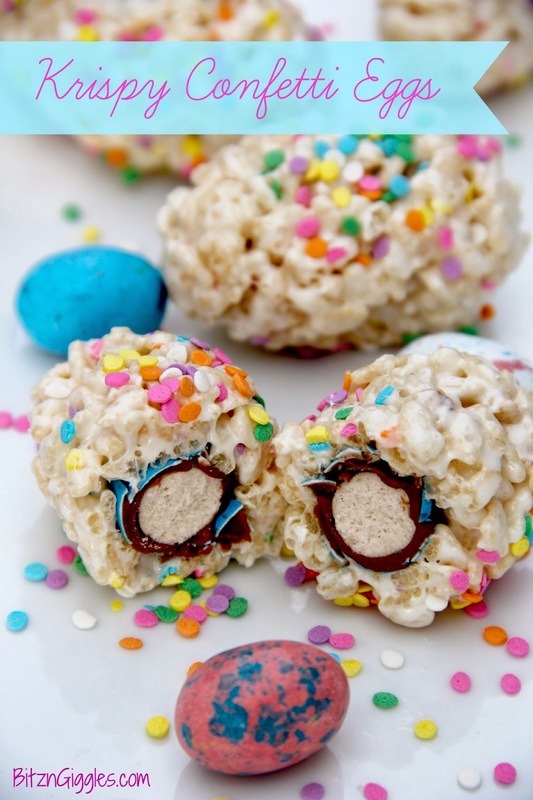 Use your creativity for these egg halves! Maybe place some little chocolate eggs in them, put them on top of a cupcake, place a little name card in them and create edible place settings at your Easter meal. . . just have some fun! Inflate your balloon so it’s a little larger than the size of an egg and tie it off. 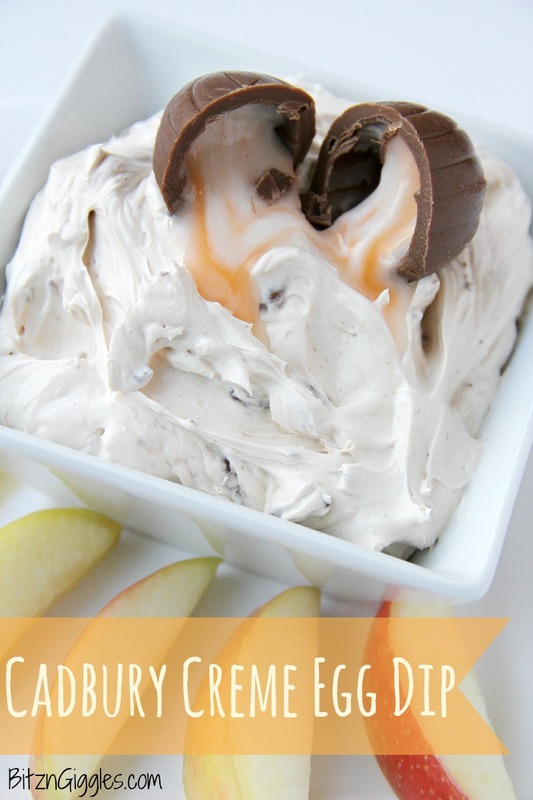 Get your melting chocolate ready. Chocoley chocolate comes in convenient squeeze bottles all ready to go. All I had to do was place the bottle in a bowl of very warm water for a couple minutes and it was melted and ready to use! Cover the bottom of your balloon with chocolate allowing some of the chocolate to drip down the balloon. 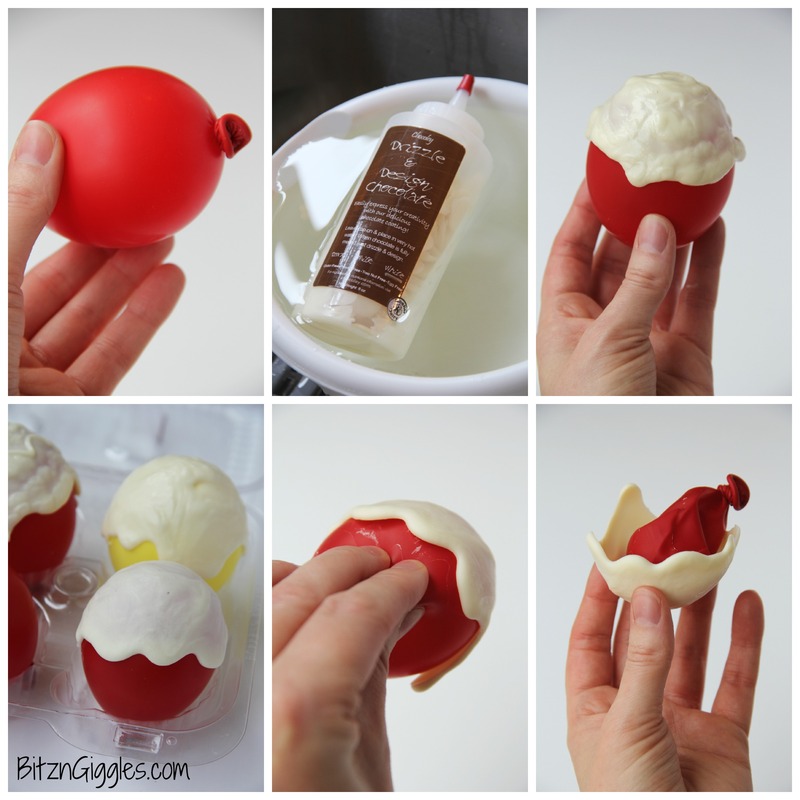 Place the balloons in a container to dry. An empty egg carton or cupcake container would work well! When the chocolate has dried (30 minutes or so), squeeze the balloon a bit so the chocolate loosens from the outside of the balloon. I enlisted some help from my hubby to bust one of the balloons so I could produce this animated GIF for you. This was my favorite part of the whole process. The kids love this part, too. Trust me. 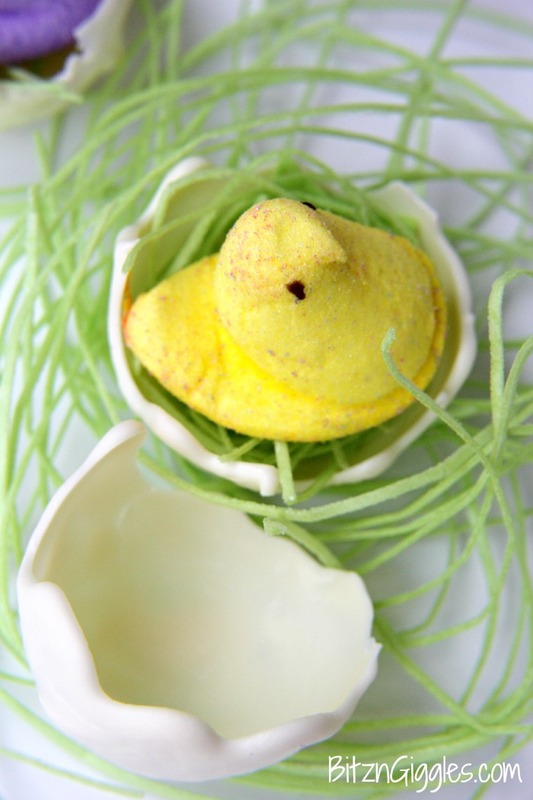 After the shells were ready, I placed a little Easter grass in one of the half shells, set a Peep on top and stepped back to admire my handy work. Aren’t these little chocolate half shells the cutest? My kids gobbled up the chocolate shells in no time at all. They, however, just stared at me with blank faces when I told them they could even eat the grass. They both tried a little and decided the chocolate was much more worth the time. 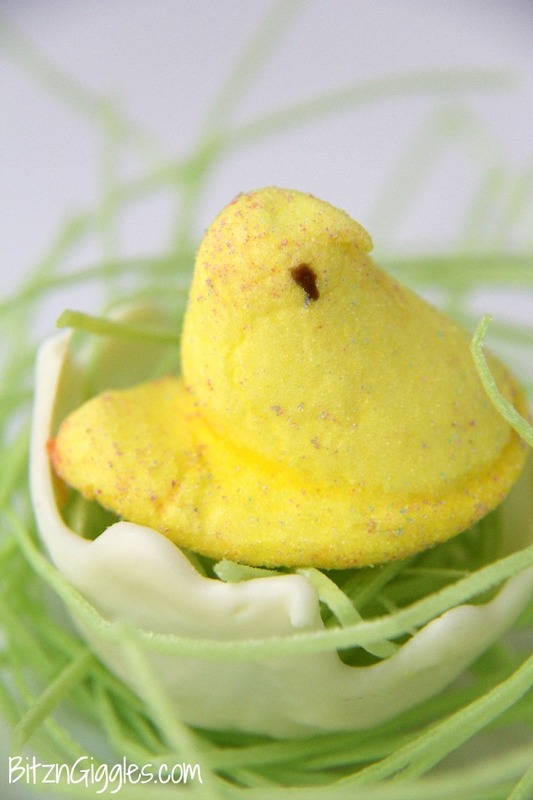 Does anyone really even eat Easter grass? Like, can you imagine someone eating Easter grass handfuls at a time? The thought of it just makes me giggle. 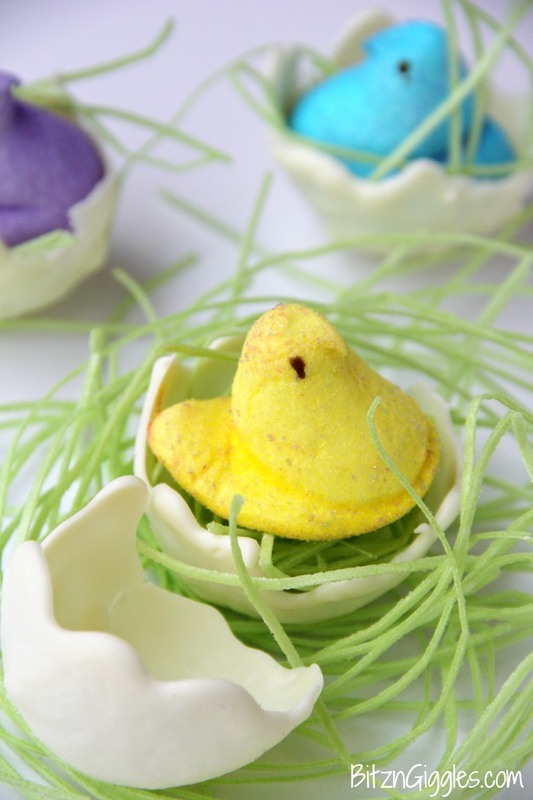 I promise these chocolate egg shells are so easy to make and they come together in no time at all! They’re such a nice touch for Easter. Wouldn’t your guests be in awe to see one of these awaiting them at their place setting this year? 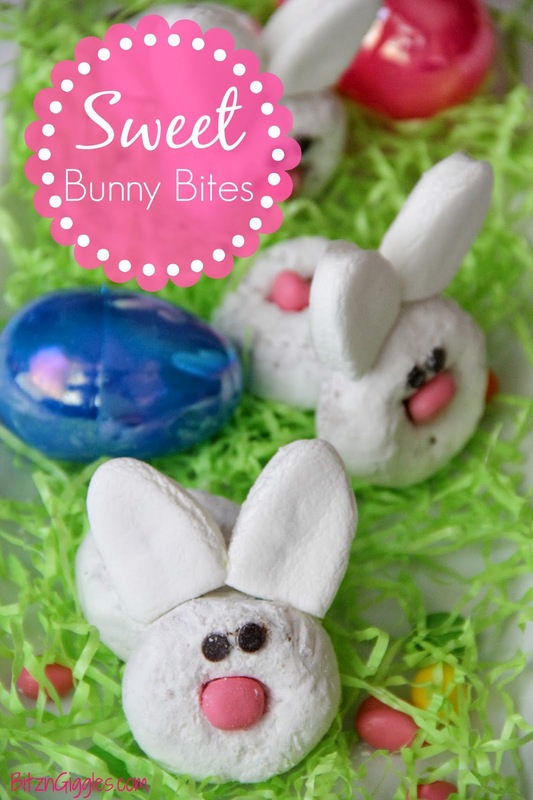 READY FOR MORE EASTER FUN? Wow! These are so cute! You did a great job. Thank you for linking up to Party Time and we hope to see you again next week!